How many cigarettes in with a bottle of wine? Often in the news we read about current and future problems relating to human health and disease. Take, as an example, the recent news article in BBC titled “How many cigarettes in a bottle of wine?” At first blush , this article is catchy, highlighting a research study of humans in the UK, which finds that drinking a 750ml bottle of wine a week increases the risk of cancer in an equivalent manner to 10 cigarettes a week for women and 5 cigarettes a week for men. As both the BBC article and the research paper itself notes, this question is very limited in scope and comes with a number of caveats. Consider, we widely recognize that consumption of substances that have addictive properties, such as nicotine, can lead to co-consumption with other drugs or subsequent consumption of stronger/more debilitating drugs. For example, one study of young adults in college in the US finds that 98% of all smokers drink alcohol, and that 44-59% of drinkers, smoke. These results are not novel, (see for example, here and here). Other studies (here, here, for example) point towards the co-consumption with illicit drugs, and yet others point towards co-occurrence with risky behaviors (see here and here) which in themselves come with health concerns. So the results and the conclusions of the article cited by the BBC are valid, but only in a narrow sense; i.e., in terms of understanding the health risks associated with the use of these individual substances. For individuals that consume only one substance, this study’s conclusions may be highly relevant for mitigating future health risks. But, as detailed above, many people do not replace one substance with another (e.g., replace wine with cigarettes). They consume them together. Therefore, a more informative question to answer could be, “How many cigarettes with a bottle of wine?” That is, what are the risks of consuming more than one potentially addictive substance? As other explanatory variables or risk factors are identified, these variables will be looked into further, and inform a broader base of knowledge. This method of inquiry is known as programmatic research, and it often starts with the answering of simple questions to build a larger body of knowledge. Take as another example: even though cigarette smoking is at an all time low of 10% in the US, 47 million Americans still consume tobacco products. Of these consumers, 2 million are middle or high school aged children. That number is equivalent to the entire population of New Mexico, and more than that of West Virginia and Nebraska. And yet, last year the FDA decided to end a primate study investigating the impact of multiple substances that are found in tobacco products on brain function in adolescent monkeys. The FDA ended this research primarily because of a penned letter from a celebrity figure. The celebrity noted that we already know a great deal about the consequences of smoking on behavior and physiology, and that this study was unnecessary. Following this logic, this celebrity called the research a waste of time, money, and animal lives. What the celebrity, and ultimately the FDA, failed to consider was that we do not yet know how the brain changes across development with nicotine consumption and in conjunction with the many chemicals that co-occur in traditional tobacco and in products like e-cigarettes — the very question that the terminated study was investigating. Such nuance is important because often it is neglected when thinking about why money is being spent and animals are being used for the investigation of specific questions. 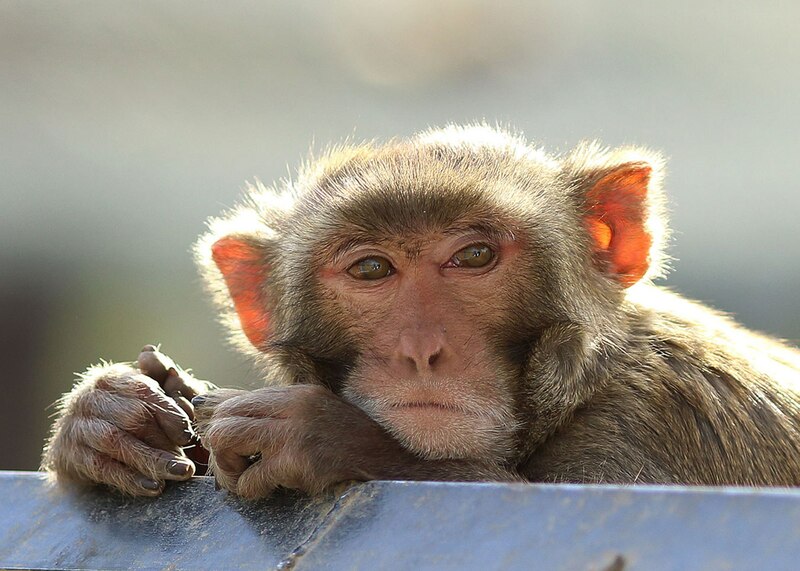 Male rhesus macaque. Source: Kathy West. In this example, what the primate study could do, but studying humans could not, is to pinpoint how the drug itself affects brain development and health. In humans, diet, exercise, consumption of alcohol and other drugs vary between individuals but may also covary with nicotine consumption. Further, the amount of nicotine consumed, the age of initiation, and other aspects of drug taking may vary widely. Together, those factors inform a broader context which must be considered when deciding on strategies for mitigating health risks. What this also means is that studies of humans are useful and necessary, but by themselves may not provide clear causal evidence about the impact of the drug on a developing individual. In animal studies, it is possible to isolate the drug effects and control for all these other variables and to provide a more comprehensive understanding of the problem. So the next time you read about animal research investigating something that seems far too trivial to be relevant, think critically about what is being presented to you, and why. This is especially relevant given the ease that information is spread across social interaction platforms without being fact-checked. 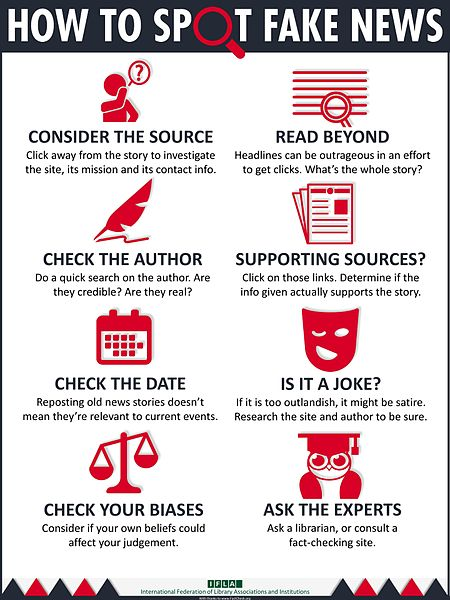 This infographic by the International Federation of Library Associations and Institutions (IFLA) may be helpful in your decision making process. Posted on April 9, 2019 April 9, 2019 by EditorPosted in News, Science NewsTagged Alcohol, e-cigarette, FDA, generalizability, juul, juuling, nicotine.